I’m sure anyone who’s been following Notts ioT will agree – 2018 has been a fantastic year so far, and I’m loving every minute of it! We’ve hosted some excellent speakers and learned so much about some really interesting topics. Everything from Controlling your home with Alexa and Raspberry Pi with Pete Gallagher (Me!) of PJG Creations, through IoT Edge with Paul Foster of Microsoft, to AR / VR and IoT with Henry Chow of Holovis. We’ve also moved venues to the wonderful UniDays at the bottom of Maid Marion Way, and I’d like to, once again, extend my sincere thanks to everyone at UniDays for allowing us to use their space, and for being so very helpful. I took over the running over Notts IoT almost by accident as the group had been set up, but its original organiser wasn’t then able to run it. When I sent a message to the Meetup page, asking if they’d be interested in my Raspberry Pi talk, then things snowballed from that point. As many of you are aware, my company – PJG Creations (AKA me) – sponsor the food and drink at the Meetups, as well as hosting the website. I also of course, have given three talks in 2018, as well as the general running of the Meetup itself. A couple of weeks back I took over the ownership of the Meetup group itself from Deidre Miller, who had owned the group previously. As a result, I needed to pay the Meetup fees for the next 6 months, which aren’t insubstantial. Not to put too fine a point on it, but there is a fair bit of cost involved in running a Meetup like Notts IoT! We’re always on the lookout for sponsors of course, and earlier this year we managed to snag JetBrains, who kindly donate a JetBrains license each month, which is fantastic! However, it would be a great help if we could find some sponsorship to cover the monthly costs of running Notts IoT. So if any of you have any contacts where you work, or have any friends or colleagues who could help, then please do get in touch! In the interim period however, I’m actively looking for suggestions to reduce the monthly costs. One idea I had was to, instead of supplying free drinks and food, perhaps give away a peice of IoT tech each month to one lucky attendee. Another suggestion from a few regular attendees would be to accept a voluntary donation which would go towards the costs each month maybe? I’d love to hear your thoughts, so please do get in touch. 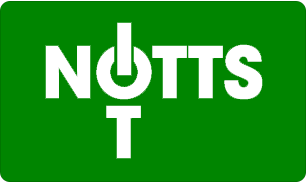 Notts IoT took a break in August, mainly as its difficult to get the right attendee levels during the summer… However, we’ll be back in September with a vengeance! But, we haven’t got a speaker organised for September as of yet! So, ‘m considering holding a Lightening Talks evening. I know from chatting to previous attendees, that many of you have some really interesting topics to talk about, but perhaps are a little daunted by having to give a full evening’s talk. Well… Here’s your opportunity! If you have a subject you’re interested in, and would like to give a short 10-20 minute talk about it, then please get in touch as soon as possible. Assuming we get enough offers, then the Lightening Talks evening will get the green light. At the same time, if any of you would like to give a full evening’s talk, then that’s fantastic too… Get in touch, we’d love to hear what you’ve got to say! That’s about it for now… Thanks so much for taking the time to read this, and I really hope to see you all again next month at another Notts IoT!